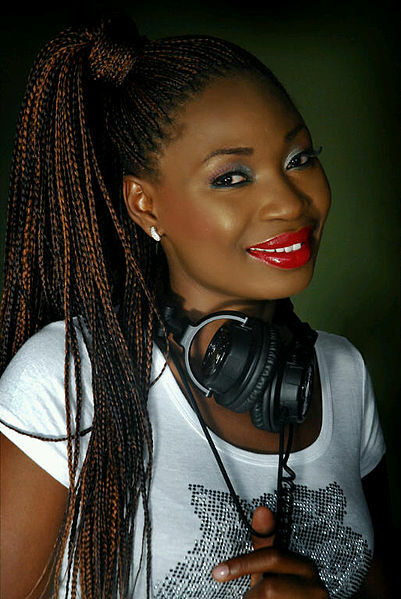 Nigerian radio presenter, Matse Uwatse was the winner in the On-Air personality of the year (Radio) category at the 2011 edition of The Future Awards Africa, a second win for her, after previously clinching the prize in 2010. She was born in Warri, Delta State in 1981, the first of ten siblings. She first attended John F. Kennedy International school in Effurun, Our Lady’s High School Effurun, and Federal Government College Warri, before moving on to Delta State University, Abraka, during the course of which she embarked on a study abroad program in French studies at Village du Benin, Togo. She hosts the midday show, “Coolele Zone,” on 95.1 Wazobia FM, and has won a host of awards including, the Club Unique awards in 2008, the Women in Media and Entertainment Awards in 2009, and the African Voices Awards in Nairobi, Kenya, in 2009.
in July of 2013, she married long-time beau, Ekemelu Bertram Nnoli.